Aldermore is one of the UK’s fastest growing banks with an individual approach to credit scoring that makes them popular with those who might struggle to get a mortgage from traditional lenders. 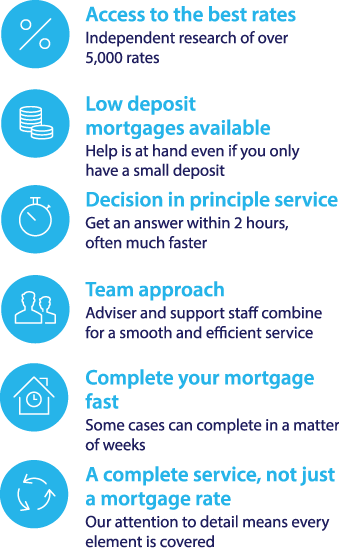 See the table below for leading mortgage deals from Aldermore and other lenders or call Fair Mortgages on 0117 313 7780 or request a quote for personalised mortgage advice. Aldermore was launched in 2009, and it is one of the fastest growing banks in the UK with £2.1 billion in assets. Aldermore does not have traditional branches, and it runs its banking operation over the phone and via the internet. Aldermore mortgages could be suitable for a variety of buyers due to their approach to credit scoring, which takes individual circumstances into account on a case by case basis. In addition to the mortgages above, Aldermore is also participating in the second phase of the Government’s Help to Buy scheme. They offer mortgages of up to 95% LTV to eligible buyers who want to get onto the property ladder but are struggling to raise a deposit. For more information on Aldermore mortgage products contact our mortgage team. To compare Aldermore mortgage deals with other leading mortgage rates and find the best deals for you, use our Aldermore mortgage calculator. Call our mortgage team on 0117 313 7780 or complete our callback request form. We have lenders who will take into account previous defaults and missed payments. Compare Aldermore mortgages with over 5,000 of the latest mortgage deals available using our FREE online mortgage calculator and comparison service. To get the best possible value on your mortgage, you need to compare mortgage products from the widest possible range of lenders. Many people find this time consuming and confusing, which is why we offer a free mortgage calculator to make things easier. Simply head to the top of the page to see top mortgage deals from all the leading lenders. The table can help you filter according to your borrowing needs and find a great mortgage deal for you.